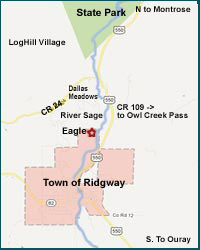 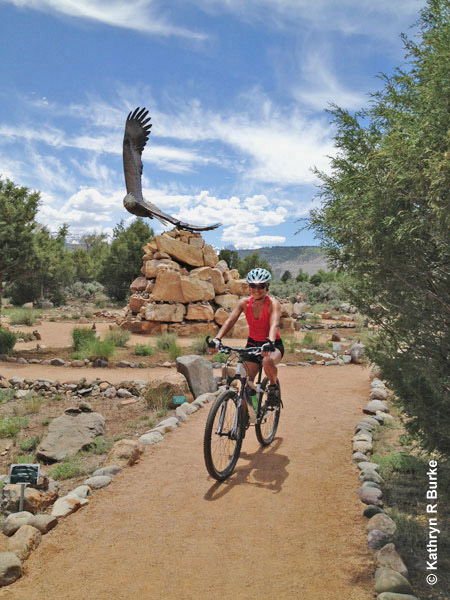 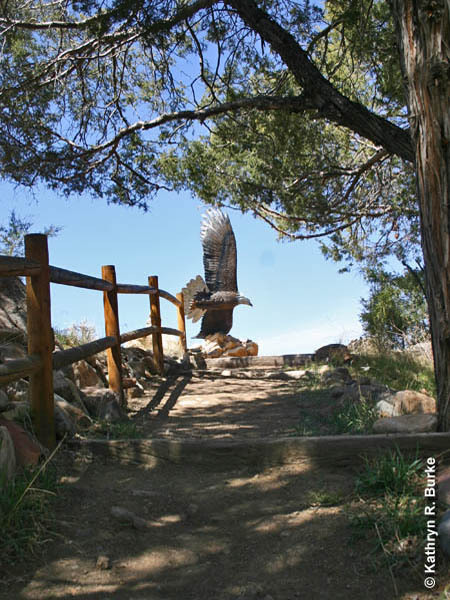 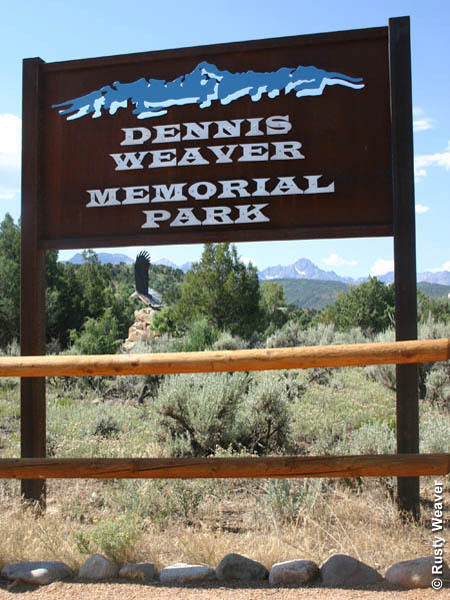 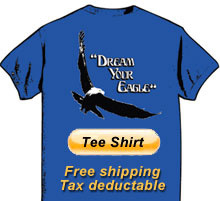 The Dennis Weaver Memorial Park Eagle Monument will be an unforgettable highlight of your park experience. 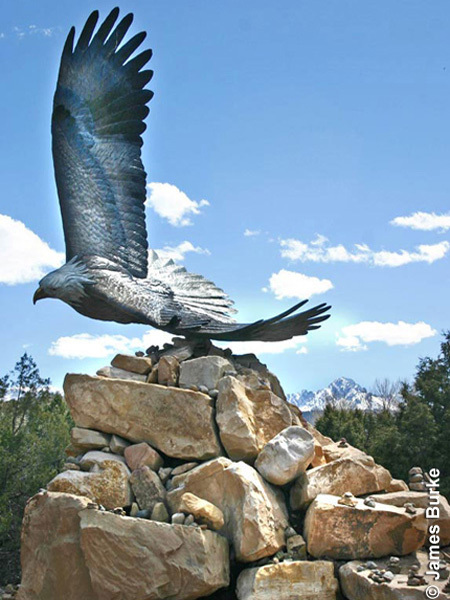 An enormous cast-bronze American Bald Eagle soaring in flight, the sculpture crowns over a tower of dry-stacked boulders (an enormous carin). 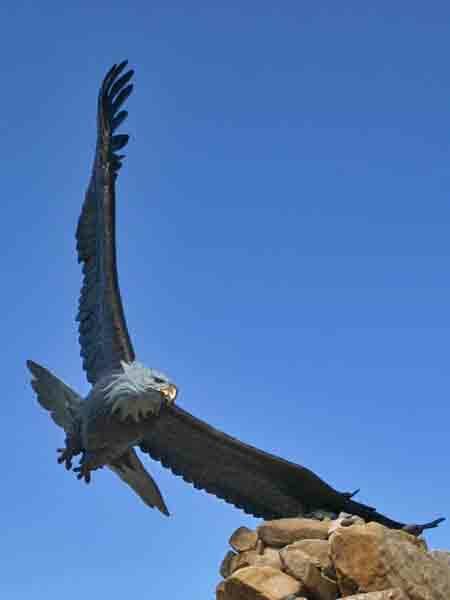 This magnificent, anatomically correct bird has a wingspan of over 20 feet and weighs 2,800 pounds. 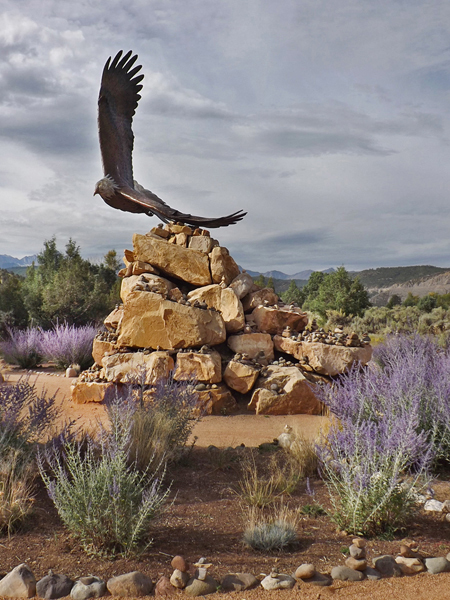 It is the centerpiece of the astronomically aligned medicine wheel. 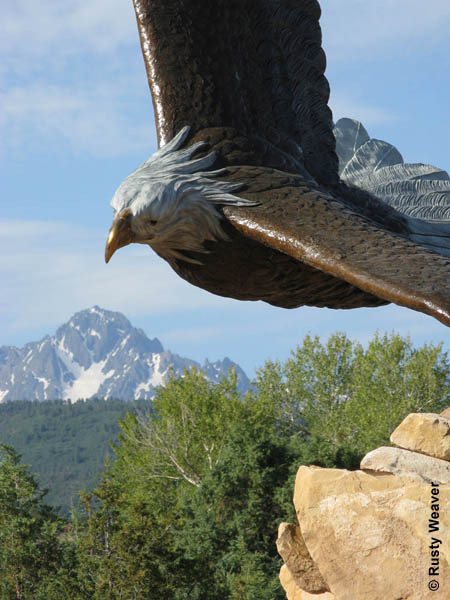 The Eagle was created by Wyoming sculptor Vic Payne and generously donated to the Weaver family by Gerrye and Bill Widger of Ridgway. 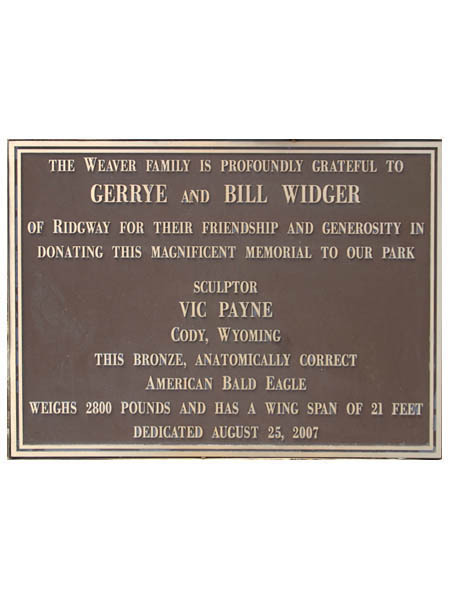 It was dedicated on August 25th, 2007.